To start with, I am a genuine online tutor / private tutor having an outstanding track record as an online ACT tutor. This can be verified from the testimonials on the right of your screen. 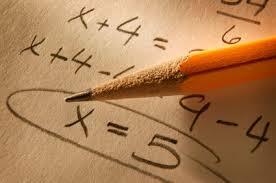 Regarding online ACT tutoring, I can say with my experience that with every session we do, the score improves. I have taken ACT myself and I know that it involve hours and hours of carefully focused practice on an almost-daily basis. I’ve helped a lot of my students to improve upon there scores dramatically, and many of those students have made it to the IVY league, realizing there dreams. My students have scored perfect 36 in ACT Maths as well as perfect 800 in SAT – II (Maths Subject test). I have always maintained my stance that success is only 1% inspiration and 99% perspiration, and this applies to both, student as well as tutor. I do not have any massive score improvement techniques which do not require hard work. I honestly have an outstanding track record as an online ACT tutor – I have helped a lot of students achieve great score improvements, and many of my former students have gone on to the finest in IVY league, among many others. But improving your ACT score is never easy, and my job is to help you understand the concepts, fill the knowledge gaps if there are any, make you work hard and efficiently so that you can achieve your objective of getting a top score. A good ACT tutor will fill the gaps which you may have in your conceptual understanding and help you understand the standardized test’s classic pitfalls/situations. This ultimately helps in improving your score dramatically. But there’s no magic to any of this. Only hiring a good ACT tutor will not guarantee a significant increase, but it requires working hard and working efficiently. Generally speaking, students can expect to improve somewhere around 2-3 points on a specific section (Math, English) for every 8-10 hours of extra hours of Test Prep with the tutor (and here I am talking about me) for the ACT exam, provided the student practices whatever was discussed in the tutoring session. Now that I have told you that I am not a magician but an honest online ACT tutor and if you want to hire me as your ACT tutor, you are welcome to discuss your specific ACT tutoring requirements. In-person ACT tutoring is available only in Gurgaon and Delhi. For students living outside of Gurgaon and Delhi, I provide online ACT tutoring via Skype or Webex. I have tried to explain a lot of things here about my tutoring style, but if you have any doubts you may reach out to me via SAT/ACT enquiry. If you have any doubts regarding effectiveness of online tutoring, you can find my online tutoring experience here. Thank you for reading till here!